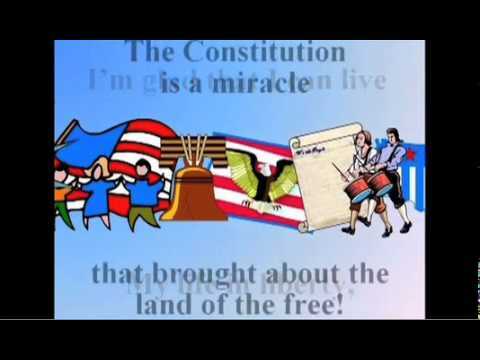 "Constitution and Bill of Rights in Song"
Learn about the Freedoms guaranteed to all American citizens by the Constitution and the Bill of Rights. Perfect for elementary students, school assemblies, and those taking the exam for U.S. citizenship. Additional 31 page Teachers Guide is available with all song lyrics, student test and comprehensive class program guide for school assemblies & plays, available in a PDF format for you to print and use. Listen to a sample from the CD!